Life is now. Why wait? Life Time Access For Only $99.00. Fall in Love again from the comfort of home. Get Life Time Access for only $99. If you have trouble communicating with your husband, wife, domestic partner or significant other, and don’t have time for “therapy”, I highly recommend Paul Zohav. His unique, loving yet rigorous coaching style has succeeded where counselors haven’t in my relationship. Paul Z has a unique approach to relationship coaching that I found helpful and effective. I gained new "tools" for communication that I have been able to translate into better relationships with my partner, children, friends, coworkers and clients. By practicing his skills, I went from feeling often unsure and unheard to being empowered and in alignment with who I am. This work has been invaluable for me, I would highly recommend it for everyone. Under Paul's patient, insightful guidance, my wife and I have learned simple-yet-amazing communication skills that have made life so much better for us as a couple -- and for our entire family! It's truly remarkable how robustly love and happiness grows in a household whose family members are practicing a little better communication with one another. I feel that Paul has an excellent method for coaching for communication. He was able to get us talking in ways we haven't been able to before. We'd gone to traditional counseling and frankly, it was a disaster. Paul's method makes so much more sense. I highly recommend him. Newly engaged and wedded couples, families with young children, parents of teenagers, veteran couples, empty nesters, management staff and employees learn and adopt the skills, insights and best practices that will sustain healthy personal and workplace relationships, with mutual honor and respect for all. With simple, easy to apply communication and relationship skills couples will enjoy a marriage that grows to last a lifetime. At work we use specific mindsets to guide our focus and attention. These mindsets allow us to perform our daily duties from moment to moment. For example, a physician’s mindset focuses on illnesses, symptoms, drugs, lab tests and diagnoses; Airplane pilots focus on airplane altitude, airspeed, pitch and yaw, and so on. 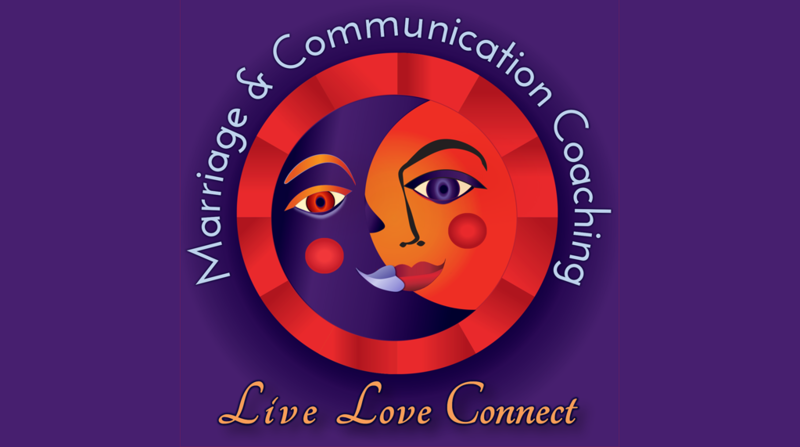 With Marriage and Communication Made Simple couples install an effective mindset that supports extraordinary marriage communication. With simple, easy to apply communication and relationship skills couples will enjoy successful marriages, loving families, meaningful, satisfying friendships, and cooperative collaborative, profitable workplace relations. With great communication we will enjoy loving marriages that grow to last a lifetime. Young relationships: Are you dating seriously, already engaged or about to move in together? Is your wedding day approaching? Empty nesters: Is now your time to reinvent your marriage for the next 20 years? Whatever the challenge: Learn new and effective ways to communicate that make it all possible. Learn how to communicate and listen to one another with mutual honor and respect. Get what you need to build a solid foundation for you and your future. Copyright © Marriage and Communication.com All Rights Reserved.